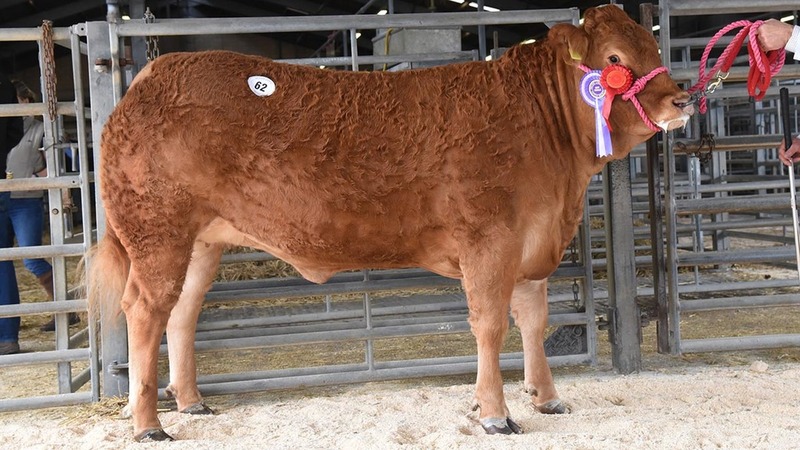 COMING out on top at Newark’s annual Limousin day was Scorboro Magna, a bull by the imported sire Fenomen from Jim Bloom and family, Scorborough. Out of Scorboro Caramel, an Ionesco daughter, it sold with a beef value of plus 55 to D.A. 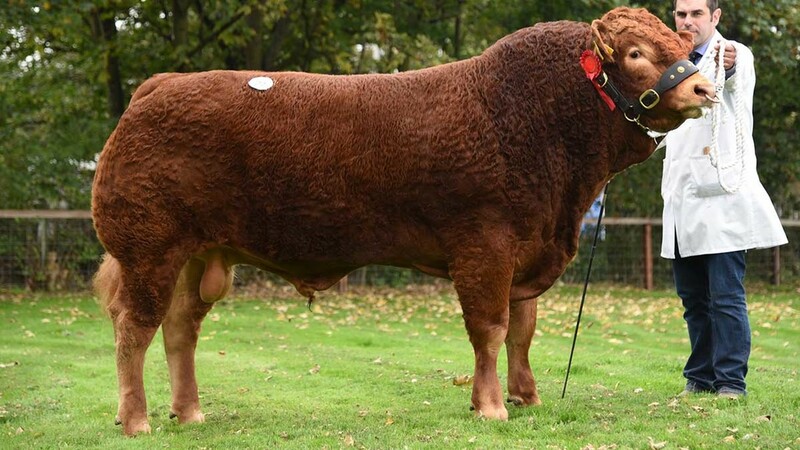 Bailey and Son, Ashbourne, for 7,000gns. Following at 5,000gns was the pre-sale champion Calogale Lord from Messrs Lee and Lloyd, Carmarthenshire. This Dinmore Goldeneye son is out of Baileys Countess, and sold to S.H. Hamplett, Haughton. 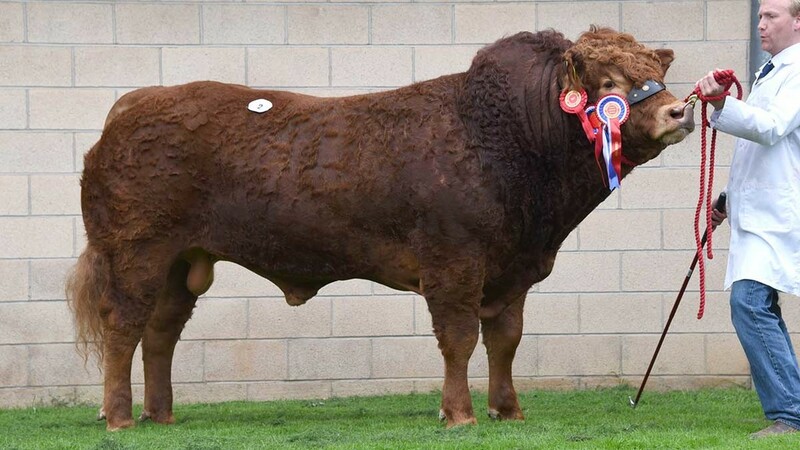 Following at 4,900gns was the Mereside Hannibal son Cockleshell Luckystar from the Gascoines Group, Southwell. Bred by the Pitcher family, it is out of Cockleshell Hunice and went to R.G. and J.R.H. Holmes, Nottinghamshire. Leading female trade at 3,500gns was the maiden heifer Blackfriar Melia from Mike and Will Morton, Lincoln. This Gerrygullinane Glen daughter is out of Blackfriar Emelia and sold to A. Smith and Son, Selston. The same vendor and buyer combination then saw Blackfriar Misty trade at 3,000gns. Also by Glen, it is out of the Wilodge Vantastic daughter Goldies Fifi. Blackfriar Melia from Mike and Will Morton made 3,500gns. At 5,000gns was the pre-sale champion Calogale Lord from Messrs Lee and Lloyd.